Mailchimp popup not working on WordPress? Here is a fix .
. If you add your popup to wordpress and it does not work, fear not, here is what you need to do to make it work. 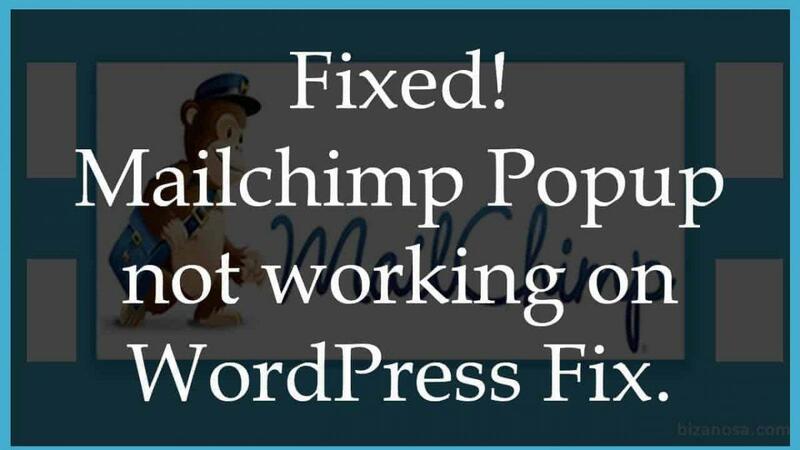 This video will show you how to correctly add a Mailchimp popup on wordpress. You won’t need any plugin to make this work. You will manually add the popup code without having to use any plugin. Plugins have a tendency to slow down your website so if you can add the popup form without using a plugin, the better. Watch this video to see how to correctly embed the popup on your wordpress website.